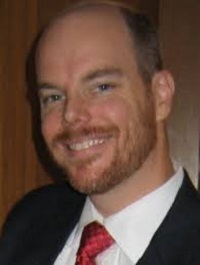 Corrupt Ellis County Texas District Attorney Patrick Wilson knowingly and purposely wrongfully imprisoned Bill Windsor. It's interesting how you can study all the potentially applicable laws on an issue, and then all of a sudden, you stumble upon the key to the whole deal. Bill had previously discovered that both Montana and Texas enacted the Interstate Enforcement of Domestic Violence Protection Orders Act. He didn't pay any real attention for two reasons. First, there was no protection order in his case because there was only a temporary order of protection wrongfully issued for 20 days on August 21, 2013. It had long since expired. Second, while William M. Windsor was told that he was being detained in Ellis County Texas on "violation of a protective order," he asked for, but never received, a copy of any such alleged order. Ellis County Texas District Attorney Patrick Wilson knowingly and purposely concealed that key evidence, and he did so in order to wrongfully imprison Bill Windsor for 53 days. He did it because Bill Windsor was exposing him and his Ellis County Mafia associates and had a lawsuit pending against a number of these people that should have resulted in a $100 million+ jury verdict. If he put Bill Windsor in jail, Bill would lose his case because he would be unable to appear for hearings and do the necessary work. And here's why: Both Montana and Texas enacted the Interstate Enforcement of Domestic Violence Protection Orders Act. And when Bill Windsor finally read this Act, he immediately realized that a Temporary Order of Protection ("TOP") is not valid in any state except the state where it was issued. The law in Montana and Texas is that if a TOP from another state is issued ex parte (meaning the person against whom it is issued is not given notice and an opportunity to appear at a hearing and contest it), it is not valid. Bill Windsor was not given notice or an opportunity to appear, and it has been 535 days! So, the Missoula County Attorney's Office knew this, and Ellis County Texas District Attorney Patrick Wilson knew this. So now we know the real reason why the Information filed to obtain the Bench Warrant in Missoula County Montana neither identified the alleged protective order nor attached a copy. We now know why there was no affidavit accompanying the Bench Warrant used in Ellis County Texas. An attorney would have been able to see that it was a TOP and would have known that it was not valid in Texas because of the Interstate Enforcement of Domestic Violence Protection Orders Act. Now we know the real reason why Bill Windsor was denied bond when the law clearly shows that he should have been released immediately on bond. The conspirators had to do whatever it took to get him to Montana because Texas did not have the legal right to hold him. Now we know the real reason why Ellis County Texas District Attorney Patrick Wilson had his assistant district attorneys, Jake Heffernan and Amy, conceal the information that they had received from Montana. 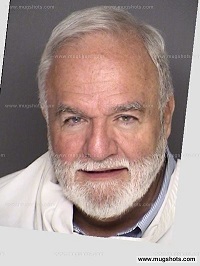 That information provided the proof that would show that Texas incarcerated Bill Windsor illegally. There are 17 states that enacted the Interstate Enforcement of Domestic Violence Protection Orders Act. So if you've guessed that Bill Windsor is going into hiding in either South Carolina, Alabama, Mississippi, District of Columbia, West Virginia, Indiana, New Mexico, Oklahoma, Nebraska, Kansas, South Dakota, North Dakota, Idaho, Utah, or California, you would be right. He has obviously excluded Texas and Montana! So now, everywhere Bill Windsor goes, in his little black bag is a copy of the TEMPORARY Order of Protection, his sworn affidavit that it was issued ex parte and he was never given notice or an opportunity to be heard, and a copy of the Interstate Enforcement of Domestic Violence Protection Orders Act. That should be a Get Out of Jail Free Card. But then again, we know the law is often ignored. What's the next step? Bill Windsor is doing several things. First, he is making new demands on Missoula County Attorney Kirsten Pabst and the Fourth Judicial District Court in Missoula County Montana to dismiss all charges. Second, he is making new demands on Ellis County Texas District Attorney Patrick Wilson and Ellis County Texas Judge Cindy Ermatinger to vacate all orders. Third, he is sending special supplements to the Montana Supreme Court and the Texas Tenth Court of Appeals to highlight this key factor. 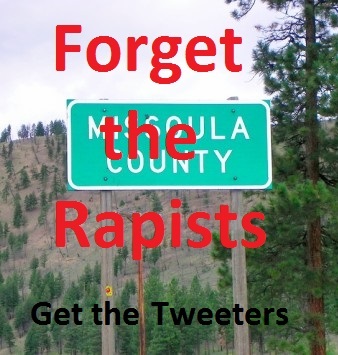 As they say in the Missoula County Attorney's Office and the Ellis County District Attorney's Office, forget the rapists, go after anyone who is working to expose how corrupt we are.